Biceps tendon tears can be caused by injury such as falling with your arm outstretched or during the act of lifting heavy objects. 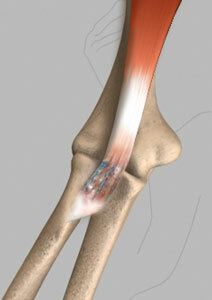 In case of overuse, a tendon may fray and eventually tear. Other shoulder problems such as tendonitis, shoulder impingement, and rotator cuff injuries are more likely to weaken or tear the biceps tendon. Additional risk factors such as advancing age, heavy overhead activities, repetitive overhead sports, smoking, and use of corticosteroids can also result in a tendon tear.